HomeBlogAre you dreaming of a Hollywood Smile? Are you dreaming of a Hollywood Smile? If you’re tired of flashing chipped and discolored teeth when smiling, Dental Veneers may be for you. There are many treatments to choose from in Cosmetic Dentistry – Teeth Whitening, Teeth Straightening, Crowns, Dental Bonding & White Fillings – however, Porcelain Veneers is best for anyone wanting the ultimate smile makeover. Now, who doesn’t want to own a dazzling smile? I know, I do. With this in mind, I want to share with you a brief account on the hot topic of Porcelain Veneers. 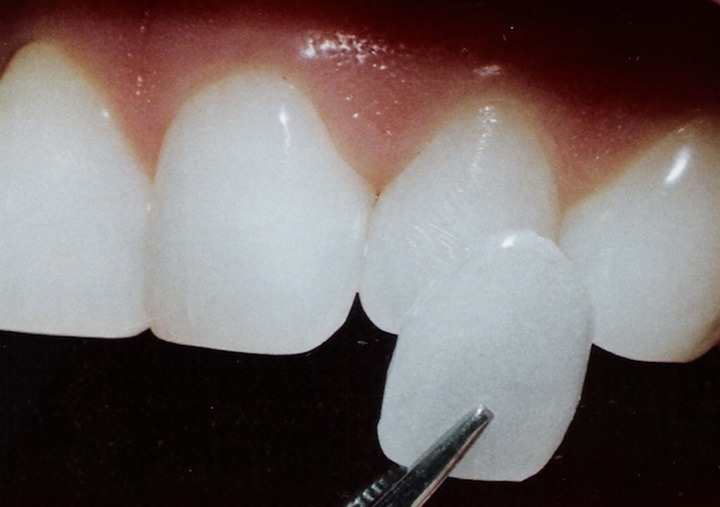 Veneers are ultra-thin, porcelain shells, which are bonded onto the front surface of the tooth, using a bonding agent. Please note that if your teeth are heavily decayed or decaying, you are probably not a suitable candidate for Veneers. The advantages of Porcelain Veneers are that they look very natural, are stain resistant and can last up to 15 years. No follow-up maintenance is necessary. Great! The only downside is that you may experience sensitivity for a week due to the natural tooth enamel being shaved to allow for the thickness of the Veneers. If you are dreaming of a Hollywood smile Makeover in Dubai, best to visit a dentist in Dubai to go over the pros and cons, so you have a good understanding of what they can achieve for you and to make sure you are a suitable candidate.